Well, hello everyone and thank you so much for stopping in today. I wanted to thank everyone for all your kind words and wonderful emails to me. You guys really know how to give out warm and fuzzy feelings of well wishes. I am feeling much better…phewww! :) I think my illness came on as a combo of many things. I was just feeling overwhelmed as I have a lot going on in my life, my son is turning 3 years old and we have planned this fabulous vacation and I want everything to run smoothly. 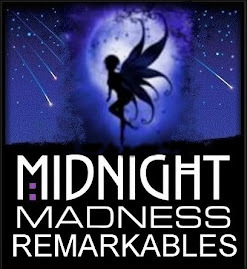 I will be out of town for a couple of weeks and the wonderful Midnight Madness DT is going to take over and of course as always do a fantastic job. I have tried to prepare as much in advance as possible and if you are new to this blog, boy you in for a treat. We have lots of stuff going on here, so be sure to check out the “General Rules” for all the details. In addition to all the normal monthly and weekly giveaways, we have our blog hop to look forward to, so don’t forget to put the “Holiday Blog Hop” logo on your side bar for a chance to win a weekly gift till our hop launches. Please check back Weds for our MMSC26 Bonus winner and out Holiday Logo winner this week. 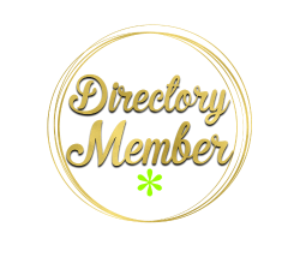 I would like to thank our players because, your entries each week inspire so many people. I, as well as the DT would like to thank you for giving us the opportunity to view so many incredibly talented card artists. You have till Midnight EST 11-10-09 to get your MMSC26 entries in to qualify. One winner will be drawn for our Bonus giveaway on Wednesday, so be sure to check back for that. If you miss the deadline, you are still welcome to link up to Mr Linky, but any entries after the "LAST CALL" will not be in the drawing. 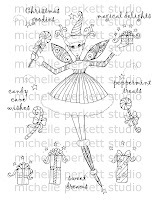 Michelle is giving away my 8 1/2 x 11 digi page called, "Christmas Delights" and 6 of her "Winter" greeting cards. 4. 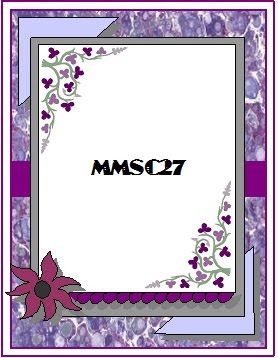 Tag with MMSC27 when uploading to galleries. I am glad you are feeling better Priscilla!! Have a great vacation! You will be missed. Great take on the sketch girls!! Priscilla....have a fabulous vacation...enjoy yourself with your family. I wanted to tell you how fascinated I am by your card. I love all the embossing and that shiny middle dp. The piece of jewelry is exquisite. 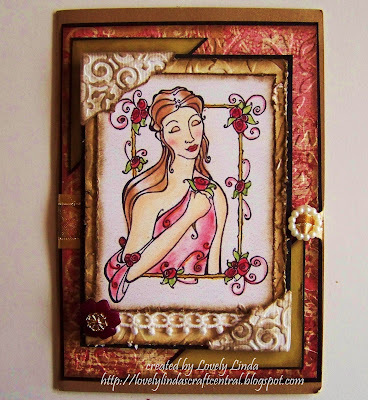 I love your style of card making so much and am always inspired by your designs. It's so good to hear that you are feeling better Priscilla! I do hope you have a fabulous trip and that your son has a perfect birthday!!! 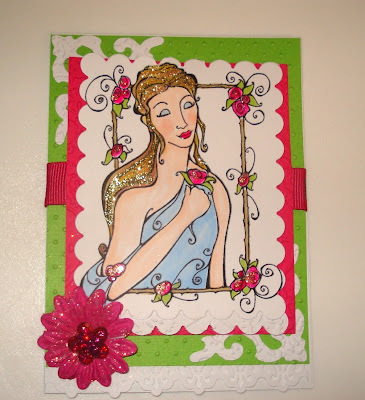 Your card is gorgeous with the glitter and that jewelry! Love it! Love all the samples... great work by all the DT! I also wanted to thank you so much for honoring me with the gold star award! I will gladly display it!!! Thanks so much! Fun, fun and more fun! I love this sketch. Had so much making my card, adding little decos on it. Thanks for the challenge, so glad I am making it early this time around. Your amazing design team has blown me away, again! WOW! My images come to life on their cards! So gorgeous! Thank you ladies for your beautiful work with my images! I am new to the Midnight Madness sketches : ) I'm so glad I got the chance to play along, and the DT samples are absolutely gorgeous! Have a wonderful vacation! So much inspiration again. Thank you DT. have a wonderful trip and enjoy yourself. I am having a great time with the sketches and the DT cards are just gorgeous! The Dt cards are all uniquely gorgeous. Fabulous job, ladies!!!!!!!! Glad to hear you are feeling better, Priscilla! Awesome takes on this sketch, Ladies!! Glad you are better, great sketch this week. 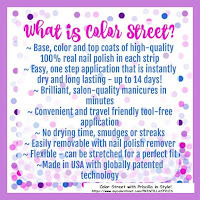 I have added your blog hop image to my blog. Looking forward to the fun. Priscilla, have a wonderful and relaxing vacation with your beautiful family. Glad you are feeling better and your mojo has returned for sure. Your card is just beautiful! Glad you are feeling better. I entered my card for this sketch. Hello ladies - your cards this week are incredible! Thank you so much for the Remarkables Award last week - I am finding it hard to believe - especially on my first card! Thank you so much! I am enjoying the challenge of these sketches and am just going week by week! Have a lovely holiday Priscilla. I love the cards this week. The sketch was a challenge for me but was glad I did it. It is a great way to keep me going. Great cards this week. I love all the pretty colors. Enjoyed the sketch but it was harder than it looks. I loved this sketch they are always so decadent. I read the rules and have updated the blog entry to include the requirements eg hyperlink back here. Lovely artwork by the DT, as always. Great sketch again ladies!! Mine is with Mr Linky. 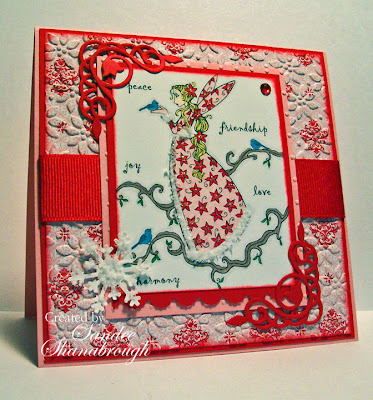 Beautifully designed cards by your team and wonderful sketch. I just linked mine up. Wonderful sketch this week Ladies! And I hope you have a terrific time on your vacation, Priscilla! I have read the article based on the winner which has make the superb design and articulation.I am finding it hard to believe - especially on my first card! I want to know such other collections of this cards. 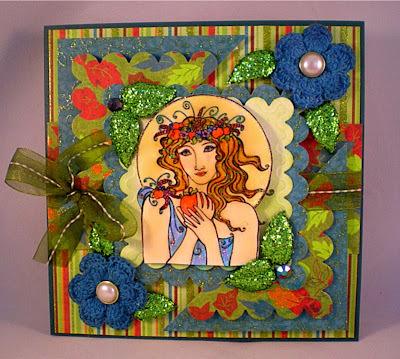 Lots of beautiful DT cards again. Not only do I enjoy being challenged by the weekly sketch, each week I can't wait to see what the DT has come up with. So much inspiration and beautiful work! Thanks for another great inspiration, ladies!! 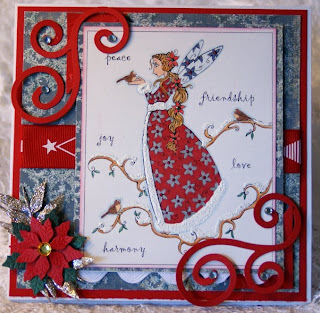 Beautiful cards everywhere!! Alot of amazing talent! Thanks MM every week for the challenges. hi girlies, well better late than never eh! This was a very fun sketch! i love your weekly challenges! Priscilla! Your card is gorgeous!!!! 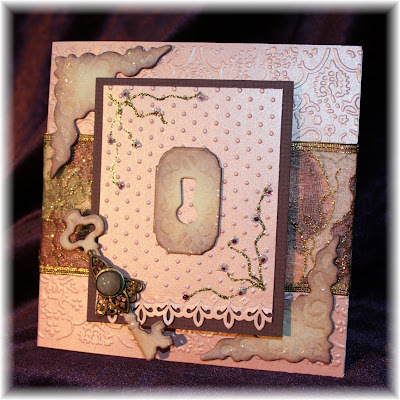 Love the embossing, the corners and that key! Have a wonderful vacation!!!! 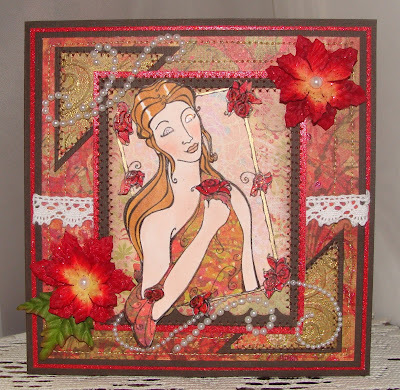 hope you are in the best of health now..
well i sm posting my MMCS27 entry in my blog. I feel like the mad hatter, rushing to get this posted just under the wire! I hope you continue to feel better Prisciilla and even though you're already gone, I hope you're having a fabulous vacation! 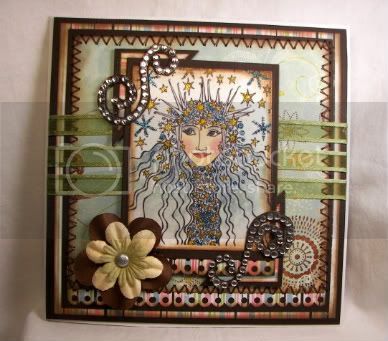 Beautiful samples ladies, you always post some amazing cards!!! Gorgeous DT cards as ever. I had great fun with this challenge. What a great & super fun challenge this week. And I loved all the inspirational cards from the design team. Thanks so much!